on low. Add the seasonings. Prepare the macaroni as directed and drain. Do not overcook the macaroni! Drizzle a little olive oil in a baking dish. Add the macaroni and the crumbled feta cheese and toss. Add the sauce and toss. This is a delicious baked macaroni served with a nice side salad. Macaroni with Chopped Spinach, Zucchini & Chickpeas! Perfect meal for this weekend & I have most ingredients on hand. As always, your recipes make me drool. Great dish Catherine. A lovely bake for all the family. A like the combination of flavours. 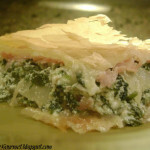 I like it that you prefer Greek recipes! Greetings from Greece! Cathrine this dish looks fantastic. I can´t take my eyes of your pictures!!! Have a nice weekend! Such a great comfort food! I love the Greek take on this - they are ingredients I always have at hand. Spinach and feta always draw me in. And perfect for the frigid temps that just returned. My husband is always making a pasta dish of some sort and I'll have to give him this recipe. 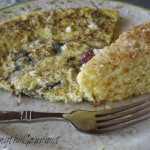 I love the feta cheese and nutmeg additions! This looks so inviting and hearty. I was going to make pizza but this is making me rethink that plan. Looks absolutely delicious. I love these kinds of recipes! 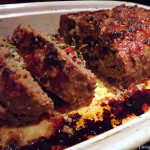 Great food photos too! That's a great looking dish of comfort food... perfect for a soon to be snowy day! 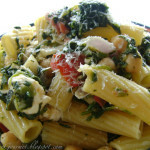 I would never have thought of using feta in this dish, but I love the idea of the Greek touch. My family would love this. Beautiful photos Catherine!! 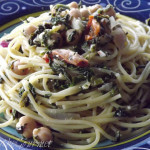 Very delightful twist on an italian favorite. Happy friday my friend. THIS sounds incredible! What would you say is the total simmer time? Just long enough to cook the pasta? 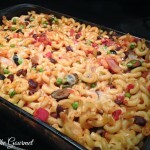 What a delicious pasta bake! Total comfort food. 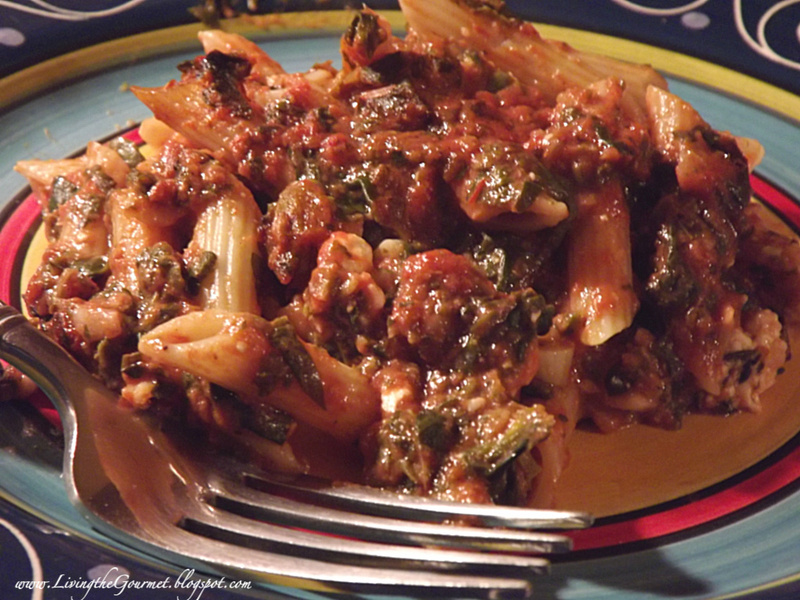 Lovely flavorful pasta dish, great for weekend dinner! Un piatto di casa nostra...anche i tuoi piatti e il loro profumo attraversano il mare ghiacciato...ottima preparazione come sempre...brava. Ciao e buon we. Oh this looks great. And it's a good way to get my husband to eat spinach! This does look delicious! 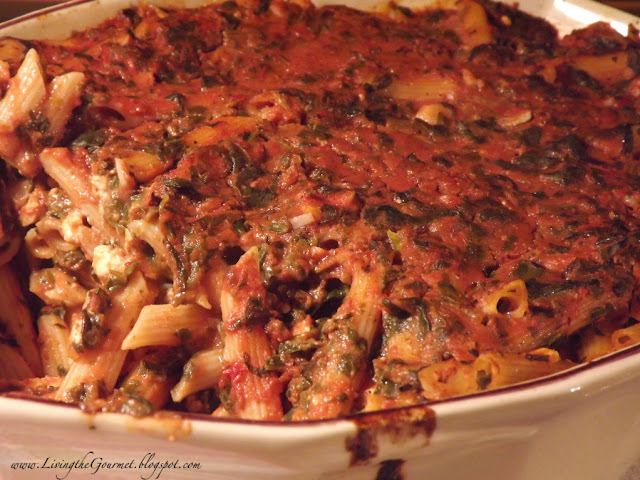 One dish pasta bakes do make for some great comfort food. Enticing pictures and great flavor combination. Enjoy the weekend! Gracias por tu visita y tu amable comentario, Catherine! Me quedo por tu blog a ver qué cosas ricas haces! Saludos. 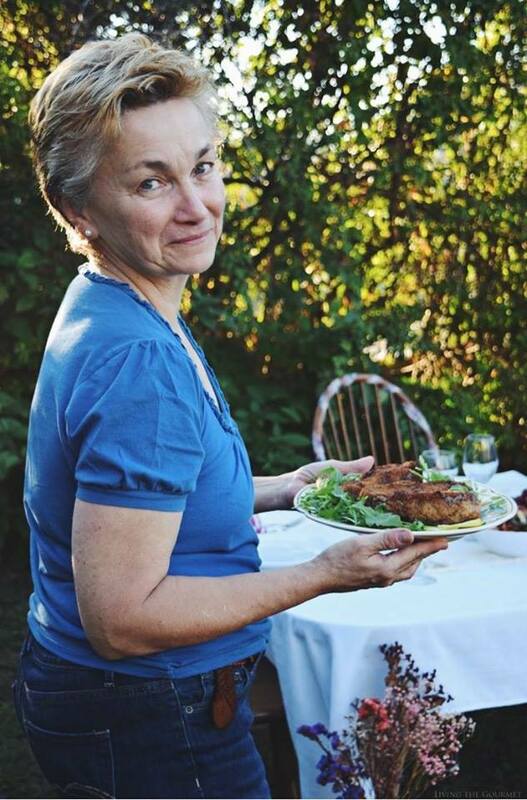 Your greek follower,Lenia,approves of this yummy dish!Well done,dear! Lovely sounding recipe...I will use fresh spinach though.